Bring on the hummingbirds! 'Major Wheeler' produces a blanket of tubular, reddish orange flowers (coral shades on the West Coast) from late spring through summer. Later, the red berries attract goldfinches and robins. It's a selection of our native species, Lonicera sempervirens, and plants are both carefree and noninvasive. They bloom on the previous year's growth as well as new growth. Regular pruning is not required—any pruning to shape the vine can be done once flowering is over for the season. Do provide a trellis, fence, or post with wire grid for support. Lonicera is a large group of (mostly) deciduous shrubs and vines from Europe, Asia, and North America. They are known for their brightly colored, sometimes fragrant flowers. The vines will grow readily in humus-rich, well-drained soil and are rarely troubled by insects, diseases, or deer. For more information on the growing and care of Lonicera, click Growing Guide. Planted this last year in the perfect spot recommended. It grew an inch or two and that was it. Am watching for growth this year. If not I’ll have to request a refund or replacement. Was so disappointed have it placed to grow up a column on my porch. I bought this magnificent honeysuckle 3 years ago and it has clambered over my lamp post covering it in a profuse burst of bright red flowers which last into the fall. As soon as the buds open in the spring, hummingbirds migrating back home fly straight to the climber, gorging hungrily on them. It is a sheer delight looking at my beautiful climber and the little birds humming around it all day! I bought two more last year, that's how much I love this plant. I planted three of these previously in late fall in heavy clay soil and only hours before a 3" deluge of rain. The next spring, they emerged unscathed and grew up the trellises. By the end of the second season, they were fully grown, extended over the 6' fence, and were covered with blooms. They displayed no mildew and the hummingbirds gathered. The only thing missing is fragrance but otherwise this plant is bombproof. Planted this last year and blooming very nicely. Hummingbirds are enjoying it. There are many Honeysuckle species; some are shrubs and others are twining climbers. All are fast growing, vigorous, and adaptable, generally with sweetly fragrant flowers. Climbers can be grown on a fence or other support, or trained into small trees. Utilize the shrubs in borders, as hedges or as ground covers. Watering: The key to getting your new shrub or tree off to a good start is moisture. Water thoroughly after planting, and keep a close eye on the plant over the following week. Then, give it a good soaking once a week during summer, unless rainfall is plentiful (more than 1in per week). Established plants can generally get by on less water, but most grow best if the soil remains evenly moist. Water Honeysuckles sparingly in winter. Fertilizer: We recommend against fertilizing at planting time and during the first growing season in your garden. Plants need time to settle in before being pushed to grow. Most established plants grow best if fertilized with a light hand. 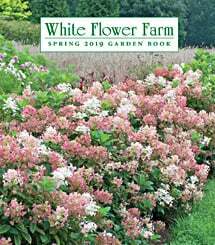 Here at the Farm, we fertilize our specimen trees and shrubs just once -- in early spring -- with a light but even coverage of a balanced, granular fertilizer (such 5-10-10, 10-10-10, or an organic fertilizer). If a concentrated, water-soluble fertilizer is used, please follow the manufacturers' recommendations carefully. Continuing Care: Easy to grow. Prevent mildew with good air circulation. Climbers that flower on the previous year's growth (such as L. periclymenum) should be pruned right after they flower. Trim hedges twice during summer. For established shrubs, cut 1/5 to 1/3 of the old canes to the base after flowering to promote new growth and keep shrub in bounds. Rarely troubled by insects or diseases.